The story of how Dr. Abhishek Sen and his team are disrupting a market long dominated by the biggies. This session is being facilitated by none other than Ganapthy “Guns” of Villgro Innovations. Abhishek is the co-founder and Chief Executive Officer of Biosense Technologies.Biosense is a medical device company based out of Mumbai focused on delivering affordable, accurate and connected medical devices. Biosense’s portfolio consists of three products – ToucHb : a non-invasive anemia screening tool, uChek : a smartphone based mobile laboratory and Suchek : an affordable and accurate glucometer.Abhishek has a background in biomedical engineering from IIT Bombay and a MBBS in internal medicine from T.N.Hospital. He is a fellow at the University of Washinton and focuses on research and entrepreneurship on med tech targeted at the developing world. He is an Echoing Green Fellow, 2010. The Pune DB2 Users Group is accepting presentations for our DB2 user group meeting in July 2014. Please send abstracts that explore into details of implementation, migrating to a new release, or maximizing performance from any member of the DB2 product family. All presentations must be strongly technical in nature, cannot contain marketing content, and must support and strengthen the information services community by providing the highest quality education and services designed to promote the effective utilization of DB2 and it’s family of products. The Conference Planning Committee strives to achieve a balanced conference program of solutions relevant to today’s IT environment and usage of DB2 on one or more platforms (e.g., Windows, Linux, UNIX, z/OS). All presentation abstracts must be received by July 6th, 2014 to be considered. Speaker Biography: In 500 characters or less, recap your professional and outside experiences as they pertain to your presentation(s). Pune DB2 User Group tries to bring all IBM DB2 Admins under one roof. It is a channel to host the technical discussions, or feedback or improvisations about DB2. Of course, networking is an optional asset of this group. This is the first meeting planned by Pune SEO and Social Meedia Marketing Meetup Group. If you have interest in Digital Marketing, you are welcome to join us. Welcome and introduce new members to the group. Any networking goal your trying to achieve out of this meeting? If you have an interest in Digital Marketing including SEO, Social Media Marketing, Digital Marketing, Content Marketing, Email Marketing, Affiliate Marketing and/or making money on Internet, feel free to join us for our next meetup! Veterans and Newbies – all are welcome !! This meetup is an extension of the organizer’s upcoming July 19 talk at the Deccan RubyConf – happening in Pune. In this talk he will write a ToDo app to get a feel of the framework and maybe exchange notes on how the other popular frameworks do similar things differently. Learn about RxJava – Reactive Extensions for the JVM – a library for composing asynchronous and event-based programs using observable sequences for the Java VM that has been released by NetFlix. Mohana Rao Pusarla is a solutions architect with more than 7+ years of experience in Java related technologies. He has developed multiple enterprise products from scratch and has scaled applications for larger user base. He has worked with Global Logic and GE Health Care and he is currently working with Synerzip. He enjoys playing badminton when he is not coding or learning some new technology. Are you looking for a change of job, or do you want career guidance. Are you toying with a brilliant idea for a start-up and looking for an investor or mentor. Are you keen on photography, trekking, music etc & would like to find others who are likewise interested. Then IITBAA Pune has just the right function planned for you. Network with other IITans. Do you know that there are about 1,500 members in the IITB alumni fraternity in Pune alone. We do not have figures for alumni from other IIT’s. Could be about 200 from each. Be it helping with your career, business or leisure, alumni can help each other much more than anyone else because of the common roots we share. The function is planned for 26th July at 6.00pm at GS Lab terrace. We expect a lot of participation from younger alumni. 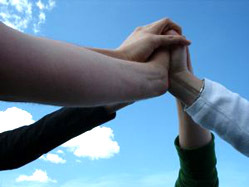 The format will ensure that participants have good benefits from the event. The function is open for alumni from all IIT’s. Every alumnus can also bring one other person who is interested in networking but not an IIT alumnus. The damages are Rs 200 per head including a light dinner. Beer will be available for purchase at the venue. A referral discount of Rs 50 per person will be given to those alumni (post 2005) that manage to have other IIT alumni (also post 2005) register & attend. This discount will be paid at the time of the function. A list of alumni who have registered and their interests shall be published 1 week before the event so please register early. The Pune Chapter of the IITBAA started in 2002, when IITBAA came into existence as a Section 25 Company. Today it comprises of 1500+ alumni who are residents of the Pune Metropolitan area. Thanks to some very active alumni, a thriving Pune with a booming economy, and proximity to Mumbai, the Pune Chapter started with a lot of activity and has remained very active. The primary mission of the Chapter is to promote networking among alumni and also between alumni and the Institute. We organize several events throughout the year, the flagship event being Innovations Pune, which showcases novel ideas in practice. Over the years, Innovations has evolved into a powerful brand built on integrity and excellence. Big Data” is currently on a hype curve, and all the focus is on that game changing analytical capability that it bring. However Big Data technologies have implications far beyond “Analytics” and will change the way how applications of the future will be build and integrated. This article describes those set of technologies, the concepts behind those technologies and how they will transform the way we build applications. More About Vivek: Vivek Kant is the technical lead for Pitney Bowes’s Big Data program. For over 15 years Vivek has worked with world’s largest Banks, Financial Institutions and Telecommunication Companies in building massively scalable enterprise applications. For last two years Vivek is working for Pitney Bowes on Internet scale Applications like Digital Mailboxes, Big Data Analytics and Internet of Things. Splunk Architecture – Deployment, License, etc. Live Demo of how we can use splunk for various operational & business intelligence. More About Jayant: Principal Engineer at Autodesk, working in cloud services team responsible for maintaining RESTful API services. This meetup will help you gain knowledge about everything revolving around Big Data Technologies. We aim to become the “Homebrew Computer Club” of Pune, instigating big ideas in Big Data and providing platform for the individuals/startups/giants in and around Pune to showcase their knowledge. Infuse Ventures, India’s largest early-stage cleantech VC fund, in partnership with MCCIA, TiE-Pune and POCC, would like to invite you for a unique event on Friday, 18 July 2014 at the MCCIA Trade Tower, Pune. The event will focus on the ‘breadth of entrepreneurial opportunities in cleantech’. While we will outline the ever-expanding boundaries of cleantech, we will also specifically focus on ‘the role of IT, data analytics and internet of things (IoT) in cleantech’. We hope this session will throw open a new area of potential growth for entrepreneurs who are already in either the cleantech space or IT, data analytics and IoT space. Additionally, we hope this session will help you take a fresh look at your (or your company’s) current capabilities from a fast-evolving cleantech perspective. We believe that the cleantech opportunity is as immense as the web itself, since it increasingly touches every aspect of how we live, work and play. This 2-day program from Cralina takes one through all the fundamentals of cloud computing as well as Amazon Web Services (AWS) cloud and the infrastructure services which comprise AWS through a delightful mix of lectures, demos and hands-on exercises. By the end of the program one will have enough hands-on experience with AWS to be able to deploy, configure and secure one’s own scalable web application(s) on the Amazon cloud. This program also covers the Amazon API’s useful for developers. The revised edition of the program covers 70% of IBM Cloud Computing Infrastructure Architect Certification and the program material covers 100%. Engineers/Leads/Managers who would like to get a jump start on programming using Amazon Web Services. Cralina provides consulting services and technology trainings in niche areas to leading software companies and professionals with an objective to highly improve productivity and skill levels. Cralina’s consultants have a strong background working in a fast paced product development environment in Fortune 500 companies as well as successful startups. This is a paid event. Check the event website: http://www.cralina.com/upcoming-programs#Amazon for details. Welcome to the first edition of the Deccan Ruby Conference to be held in Pune on 19th July, 2014 at the Hyatt Regency. This is the first meeting planned by Pune SEO and Social Meedia Marketing Meetup Group. If you have interest in Digital Marketing, you are welcome to join. The Mobile landscape is ruled by the sales and availability of Mobile apps. As more and more people migrate to using smartphones, getting the relevant apps out to these folks is the key to ruling the landscape. This MeetUp will focus on how device Jailbreaking/Rooting has spurned an alternative universe of Marketplaces and Apps, understanding the entire world of custom modded devices, what they aim to achieve and how app developers are cashing on this niche group of users. How devices are Jailbroken or Rooted. Apps specifically tailored for modded devices. Session will be taken by Reeve Luiz, Product Manager – Opera MediaWorks. Target Audience for this event are Mobile App Developers(all platforms), Business Development Folks, Entrepreneurs and Mobile Enthusiasts. Pune mobile developers group is for enthusiasts in mobile technologies. We will meet to have discussions around emerging mobile technologies and latest trends in mobile development. Bring your own Robot or any other project (on Raspberry Pi/ Arduino platforms) you might have developed and share your story with the group!! This meet-up is for people who have built something interesting at home and are interested in displaying/ demo their product to a smaller audience first before going big for a quick and constructive feedback and share their experience/ knowledge with others who share similar interest. I believe kids who are pursuing or want to pursue Robotics as their hobby can also benefit from such opportunities and so they are welcome to join too along with heir parents!! This group is about giving a platform to all robotic enthusiasts and jointly find ways to promote this hobby across Pune. We often receive enquiries from parents about how to get their children started in robotics. ‘Does my child have to know a lot about programming in order to engage in robotics?’ ‘My child is only 6 years old. Is it too early for him to start doing robotics?’ The answer to these questions is ‘NO’. In fact, the appeal of robotics lies precisely in the fact that it is a sport for everyone, regardless of experience and age. One can find like-minded people across the world, ranging from young hobbyist in primary school extra-curriculum clubs to professional researchers in NASA robotics research lab. Perhaps, to many children, the world of robotics may seem to be complicated and mysterious. After all, the daily newspaper is filled with breaking discoveries in the world of robotics. Yet, robotics, at fundamental level, can be very simple. Do not hesitate to take your very first step into robotics—for it promises a journey of unending fun and discoveries! Ozran Academy is a web development company that is offering five courses to freshers in IT/Arts/Maths for free. Click on the logo to see their website. Ozran is a small Dutch company that has a development center in Pune. They are providing five free courses targeted towards freshers in IT, Arts or Maths, with the intention of developing skills that industry is interested in and identifying talented individuals. Each course consists of 6 evening classes (2-1/2 hours each) and one exam on a Saturday afternoon. The whole thing is free, and a certificate is given to each participant who attends all classes, and passes the exam. Talented participants who demonstrate the ability to quickly learn and apply the concepts taught in the Ozran Academy courses may be offered a paid traineeship or job. There are different cut-off dates for applications, and for the start of the actual course, and unfortunately, we believe one of the courses is already over. But check the Ozran Academy Page for full details of the courses. Dhananjay Nene wrote this detailed report on the Pune OpenCoffee Club meeting last Saturday, which covered Search Engine Optimization by Dimakh Sahasrabuddhe, and Web Scalability by Hashamkha Pathan of SUN. We have reproduced it here with his permission for the benefit of PuneTech readers. Went to the Pune OpenCoffee Club meet yesterday. It was supposed to focus on Search Engine Optimisation, Web Scalability and Sun Startup Essentials Program. I really liked this session. It is always refreshing to see a very down to earth speaker explain things broken down in a very simple way (tinge of jealousy at my end ?). While I feel like a ??? ????? (half doctor or amatuer) on this topic since I know only parts of it, I came back with some more insights into the space and some comfort in knowledge that the little I knew wasn’t way off the mark. Content : It is important to make sure your content is in tune with the desired topics and keywords. Make sure the keywords (and sometimes even the phrases) you want to optimise for are covered in the content. Google does look at the keyword density in the content and that can influence your site rankings. Domain : It is preferable to have the important word or two about your site in the domain itself. eg. You may consider having a site domain as sushrut-icecream-parlour.com instead of sushrut.com (I am not sure if he would’ve preferred the hyphens there – just applying my own thoughts here). Filename : Make sure your filenames (ie. those in the URL) actually reflect the content. Alt Tags : Use the alt tags to enrich the information available to the search engine to better understand the images or hyperlinks. Keep them short but give enough info to the search engine eg. in a link to a file called enquiry.html, have the alt tag mention “Enquiry for Motors”. External Links : I really couldn’t understand what he implied here (probably because I got a little lost into thinking when I should’ve been listening), but some could help fill out the stuff in the comments below. Finally Dimakh mentioned Seo Root and Google Rankings as sites to visit for further learnings. On the whole a very helpful session. One more karma point Pune Open Coffee Club earned in my books. Understand how to use various web2.0 technologies such as AJAX, memcached, mogileFS etc. in the creation of your own application. Use the code in the application to understand the subtle complexities involved and how to get around issues with these technologies. Evaluate the differences in the three implementations: php, ruby and java to understand which might best work for your situation. Drive load against the application to evaluate the performance and scalability of the chosen platform. Experiment with different algorithms (e.g. memcache locking, a different DB access API) by replacing portions of code in the application. An excellent piece of content that was poorly targeted imho. Sun has an extended amount of experience dealing with enterprise architects, and this was a really wonderful presentation which most enterprise architects would’ve understood easily. This particular community of people often need to do their homework very well, and usually are allowed a fair amount of time and money to do their homework, and in many cases also have access to a body of people who are also equally capable in working out various issues related to architecture. I really think this is a useful tool which can be used by startups but that they shall need to spend the time to understand the tool and what it could do for them. However it is not a point and shoot kind of a tool. Based on the questions I could very easily understand that most persons very quickly ended up assuming that the tool could do much more than what the tool authors ever intended, and then felt disappointed. This was really a situation of positioning gone awry and I think Sun will need some more effort in positioning the presentation in its early stages to prevent disappointment later. Finally as in a question I did ask quite explicitly, the reason why it makes sense for Sun to invest in and open source such a tool, is that this tool really forces you to do your homework well in the first place. If you were to do your homework well in the first place and focus on performance and scalability early on, the tool usage would tell you to either focus on Java or more infrastructure to handle high load or low read percentage scenarios. These are very reasonable and sensible outputs of the tool. What olio does not tell you is the set of tradeoffs which are outside its scope, impact of the various choices of languages and toolkits on spead of release, agility, robustness and maintainability – that is something that the startup architect will need to come to some decision independently. Finally sun talked about its Startup Essentials Program which offered various promotional incentives to startups. Very useful incentives, though I would advise people to evaluate if usage of such incentives introduces a small degree of lockin onto open solaris (I like opensolaris – just would ensure that I would use it in a manner that doesn’t introduce too much lock in), and also the post production cost implications including support. There were a fair degree of questions through the session, and I think as an audience it makes sense to pause and take the matter offline if the proceedings continue to be stuck at a stage after two or three questions. All in all a very useful session, and a left me with the desire to attend more sessions subsequently. Thanks POCC and all the organisers. Dhananjay is a Pune-based software Engineer with 17 years in the field. Passionate about software engineering, programming, design and architecture. For more info, check out his PuneTech wiki profile. He blogs about software engineering and programming languages at /var/log/mind, and other more general topics at /home/dhananjay. In the last POCC meeting (Pain Points of Pune Startups), people wanted to know how to do SEO for their websites, and the consensus that emerged was that you should either do SEO yourself, or at least have a good understanding of SEO before you outsource it to a consultant. As to who would be a good consultant for SEO, someone suggested that we should simply do a google search on “SEO Pune” – whoever claims to be good in this area should be the first hit. We tried that and the first Pune company that showed up was Dimakh Consultants. We’ve invited CEO Dimakh Sahasrabuddhe to give members an overview of SEO. Dimakh Consultants is a Pune-based web consulting company with a decade long specialization in web designing, application development, hosting, networking, SEO & SEM. To date, Dimakh has managed the set-up and delivery of 5 Internet Service providers all over India. He manages more than 20 servers placed all over the world and hosts more than 1600 websites in India, US, Europe and far east. He regularly conducts workshops on SEO and SEM around the country. Representatives from Sun Microsystems will give a presentation on scalability of websites – something they are in a unique position to understand since Sun’s servers and Sun’s MySQL database form the key elements of the stack for some of the biggest websites in the world. Specifically, they’ll talk about: Web Application & Performance Considerations, Web2.0 toolkit – An overview, Sun Systems for Web Applications, Getting Best out of MySQL on Solaris. After that, Sun will give an overview of their Startup Essentials program. This is a program designed by Sun for startups. Get industry-leading servers starting under $750. Storage up to 70% off, installed and configured under 5 minutes. Access to their network of investors. Your choice of OS (Solaris, Linux or Windows). Open Source and discounted enterprise-class software. Free technical advice and training, discounted partner hosting, and discounted storage. Anyone can apply, and you get access to all the above if you are selected. Mingle. Ask follow up questions to Dimakh, or the Sun folks. Try to recruit trespassers. Brag about your startup’s achievements. Ask people if they know any angel investors. Show people how to open a beer bottle in 10 different ways. Live-twitter all the exciting developments as the meeting progresses. Play housie. (Actually that is not part of the plan, but if SocialWebFactory shows up, who knows what will happen.) Maybe even watch a movie. Nominate yourself for proto.in. See Santosh’s blog post to know why you should do this, and how it will help you. This weekend is going to be a rather active weekend (again) for tech activities. Check the PuneTech calendar for details. (In this interesting article, Trevas of Druvaa uses keyword search trending data from Google Insights and Google Labs Experimental Search to fine-tune his idea of what exactly is the market niche into which his products are most likely to have a demand. While doing some keyword research for Druvaa it began to become clear how interesting search engine statistic can be when you look closely at the data. From simple keyword suggestion tools, and graphs you can ascertain information that you never thought possible. 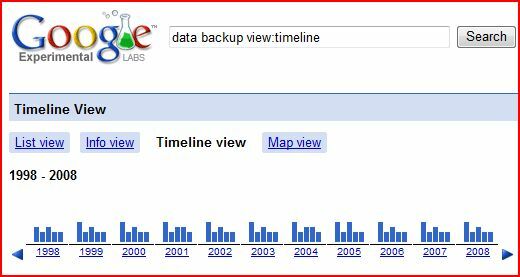 The terms “backup” or “recovery”, for instance, get over 300,000 searches per month each with Google. In other words people are searching for good solutions to keep their data safe. That information by itself is useful (at least to us), but it’s when you begin to look at more specific search terms that things really get interesting. In fact, you can even begin to clearly see trends within the industry when you compare specific terms over any given length of time. Interest in laptop backup solutions has greatly increased over the past 10 years. Some users are finding solutions to their data backup needs and disaster recovery isn’t as much of a problem as it was 4 years ago (but it still is a problem). Enterprise users who have laptops in the office are still seeking a suitable solution to their backup needs. Enterprise users who have offsite backup needs are still seeking a solution to business continuity. To demonstrate how I can get all of that from a few search terms, let’s take a closer look at some charts. 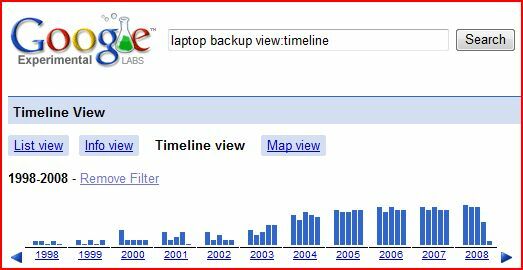 Using Google Labs and their experimental search tool you come up with the following charts for the terms “data backup” and “laptop backup”. This particular tool uses search volumes, online news statistics, number of websites, and more to show interest in any given topic. The charts clearly show that, while data backup has retained the same amount of interest over the past 10 years, interest in laptop backup has (and is) increasing. Of course, this idea makes sense. Laptops have decreased greatly in price since 1998, and as such have become a more common tool both for enterprise users and at home. On the other hand, data integrity has been a problem for business users for a couple of decades now, so interest in the topic of “data backup” have remained relatively the same. This information alone isn’t necessarily new. It’s the reason we created Druvaa InSync in the first place. The industry needed a reliable data backup solution, which is also fast enough to work well with computers that are on the go. To further look at what’s needed let’s look at some more charts. This time based on search volumes alone. Search volumes for any given term are an easy way to see what is happening within an industry, to gauge interest for a product or service, or even to see how one product relates to another. In the developed world more than 73% of the population has internet access, and over 88% of internet users go online when they seek a solution to a problem. With that in mind let’s briefly look at some search engine statistic. In this case I have used Google Insights to compare related search terms. The charts are based on normalized data, over time. If you looked at the actual search volumes they would have increased with time (since Internet use has grown). To get a more accurate look, Insights uses normalized data displayed on a scale of 1 – 100. The first chart compares the terms data backup and disaster recovery. There are two things that can be gained from this chart. 1. Since search volumes for both terms have declined over the past few years, it shows that some users are finding solutions to their backup needs, and disaster recovery is less of a problem today than it was in 2004/2005. 2. As the lines of the chart come together, they begin to show a direct correlation to each other. Very likely this is due to the fact that proper data backup is becoming the solution to disasters in the office. It really was only a few years ago that disaster recovery often meant taking that broken hard drive to have the data extracted. In the past couple of years, enterprise users have begun to see that simple backups are a cheaper (and more reliable) solution. Since the term data backup may also relate to home users, with the next chart I used the term “enterprise backup” and compared it to “laptop backup”. Again we can see a couple of things from this chart. Once again we see a slight decline in the search volumes for enterprise backup. This confirms the idea that some enterprise users are finding a suitable solution to their backup needs. By adding the term laptop backup though, something else begins to become clear. The term started the chart off at 61 and finished three years later at 62. There have been slight ups and downs in search volumes, but overall they have remained relatively the same. The two terms also begin to correspond closely with each other as the chart moves through 2007 and into 2008. To me this says that these terms are also beginning to become synonymous. In other words, although some enterprise users are finding a backup solution, those with laptops in the office aren’t. I could repeat these same results with terms like “offsite backup” or “remote backup”. With a simple look at search engine statistics we begin to see that enterprise users have a need for a laptop backup solution that works. With our own product, which provides 10x faster laptop backup and a 90% reduction in storage and bandwidth, there is a solution to suit.